Cyber 101 is the newest educational resource created by PIA and The PIA Partnership to help educate PIA members and their clients about the seven most common cyber risks. Q: Do I have to be a PIA member to participate in the Cyber 101 courses? A: Yes. However, you can also be a Non-PIA members appointed by Partnership companies. To learn which companies are Partnership companies, visit our partner page. Q: What's in it for you? A: Become a subject matter expert on Cyber coverage. Producers and CSRs using the Cyber 101 resources will become confident in their abilities to thoughtfully talk about cyber risks and coverage. Q: How often are Cyber 101 webinars? PIA agents can also personalize and provide their clients with general cyber educational resources. All webinars will be recorded and made available on the Cyber 101 website. Q: How do I access Cyber 101? You have access to PIA's Cyber 101 online courses and education! Are you ready to educate yourself? PIA Members and non-members alike have access to our Cyber 101, online courses and education. PIA Members: Login here to access Cyber 101. Non-PIA members appointed by Partnership companies: Click here to access Cyber 101. 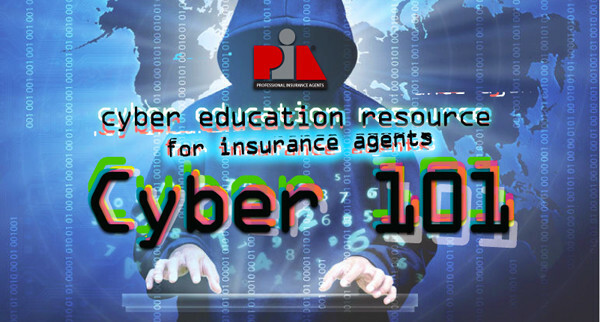 Other agents: To access Cyber 101, you will need to become a PIA member. Learn more about PIA membership and join today! Did you know that annual cyber losses in the US exceed earthquake and flood losses by almost 800%? The average data breach claim payout is $495,000. Because the majority of business owners policies either exclude or provide a small amount of cyber liability coverage, American businesses are faced with a large uninsured exposure. One loss could bankrupt a business. The average data breach claim payout is $495,000. One loss could bankrupt a business. There are many moving parts to a cyber insurance policy, so it is important that you take the time to learn the policy. The PIA Partnership has developed a number of products and webinars to help you learn the ins and outs of the cyber insurance policy. PIA Member Agents can access these at www.pianet.com/ThePartnership. Fortunately, there are products available to protect businesses against this threat. Cyber liability insurance provides both First and Third Party coverage for numerous classes of business. Coverage is available nationwide on either an admitted or non-admitted basis. For information on product availability, visit www.pianet.com/ ThePartnership. Cyber attacks are a growing threat which means there is tremendous opportunity for agents. Explain the notification requirements, income loss, data restoration, risk of stolen funds and more. Understand your client. In order to provide them the best coverage options available, ask about their data, security measures, PCI requirements and third party vendors. Identify specific exposures and provide solutions. A popular skate park was hit with a cyber attack that brought down its website and resulted in a decrease in sales. Without a website, customers thought the park had closed. The data files of a consulting firm were rendered unusable by a ransomware virus. The criminals demanded money in exchange for removing the virus and releasing the files. The accounting manager at a small manufacturing company received an email from someone pretending to be the business owner. The email demanded funds be transferred to a bank account in the Cayman Islands in order to close a critical business deal. The manager transferred the money as requested. The amount of the funds lost totaled $45,000.